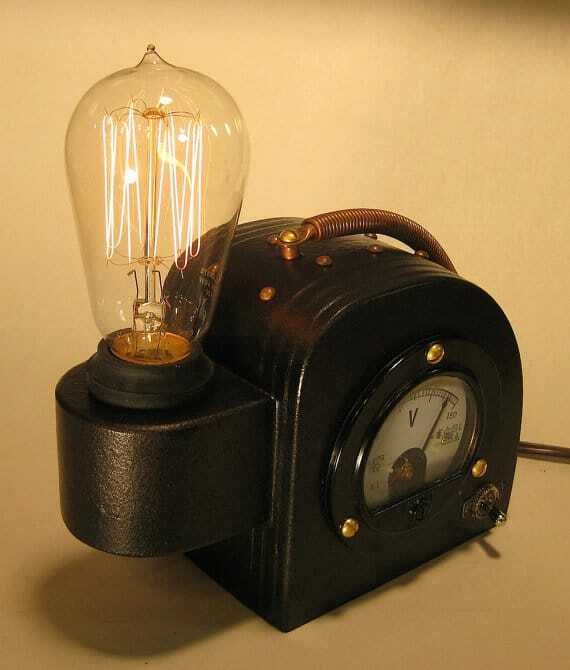 Steam Punk Science, Art Deco, Machine Age, lampe Edison. The design of this lamp is influenced by science and architecture of the 1920s and 30s. 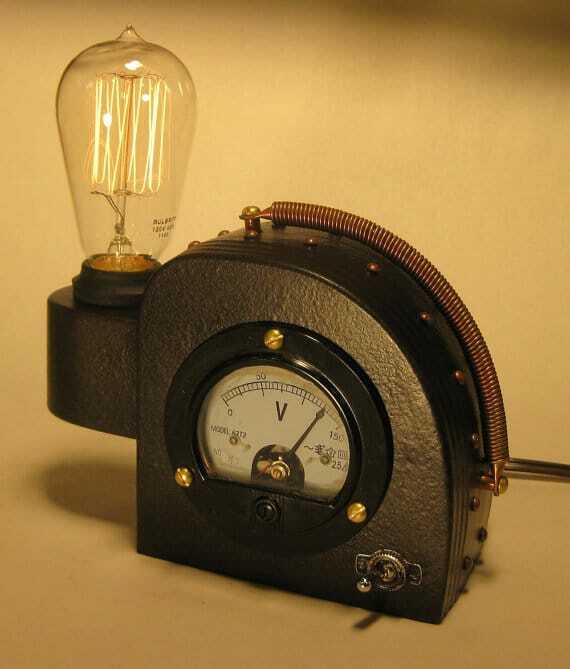 Our goal was to make this lamp looks like something out of a science laboratory in the era of the Machine Age / Art Deco. Contained in the lamp is a microprocessor that controls the power of the bulb, making it a highly efficient energy. At the lowest setting, it only draws about 15 watts or about one cent for every 8 hours of use, on average! The bulb will last two to three times as long as long when operated at lower levels. Flip walking and retro voltmeter leads. The copper coil is the control switch and is connected to a sensor. Touch the coil and the bulb lights. Press again and it increases the light level again at full power. It creates a candle like atmosphere with the fingertips. It costs only pennies a day to operate, adding warmth and beauty to a room or lab!